Happy New Year! I hope you had a wonderful night last night ringing in 2018! We haven’t gone out for New Year’s in quite some time. I don’t mind the crowds and the people, but I don’t like driving when there are just way too many people who think they are still capable of driving when they aren’t. So we stayed in and I made appetizers last night. 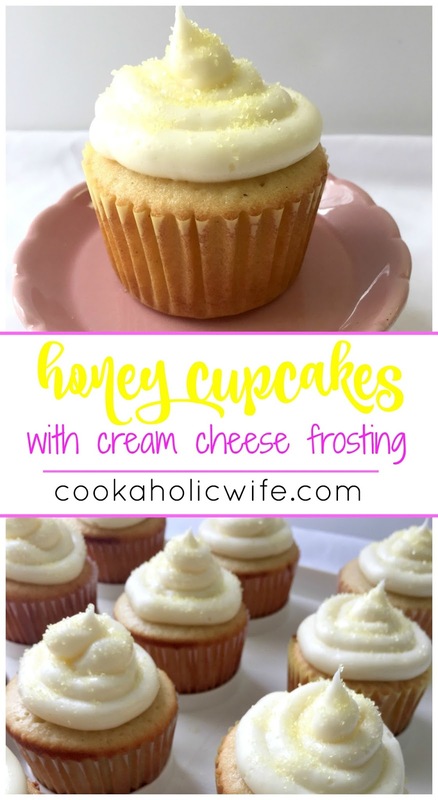 I did cheeseburger bombs (which I’ll share with you later this month) and jalapeno popper wonton cups. 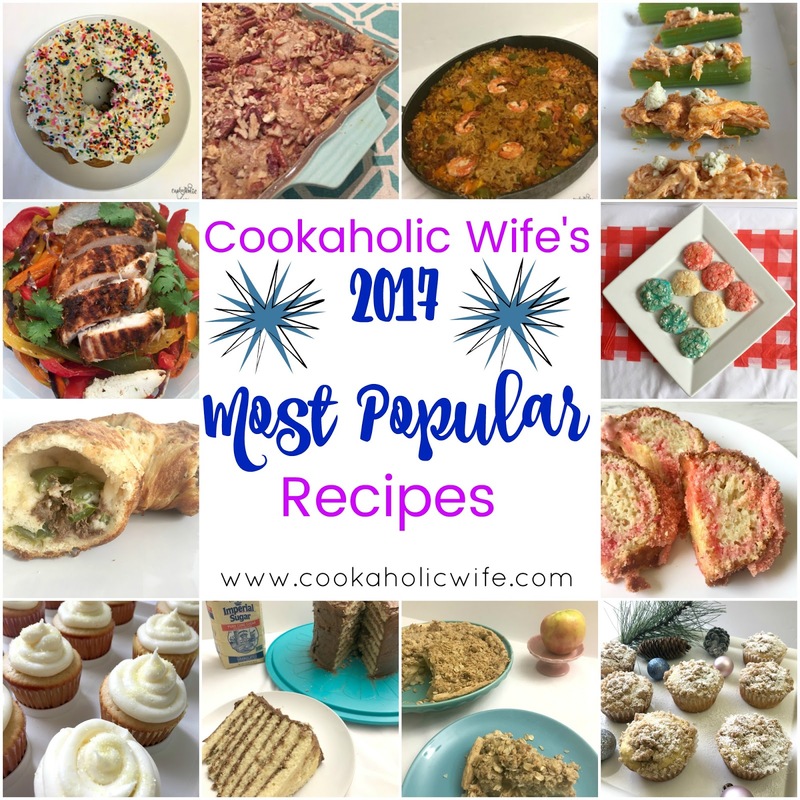 Speaking of food, it’s time to share with you the most popular recipes from each month of 2017. I feel like I should name 2017 the year of bundt cakes as those were the most popular recipes multiple time throughout the year. We started off 2017 with you deciding that a Sugar Cookie Bundt Cake was something you needed in your life. 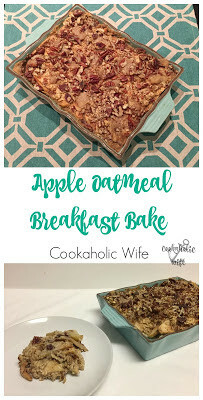 By February, you decided that a nice hearty breakfast, like the Apple Oatmeal Breakfast Bake was perfect to warm you up on those cold mornings. Full of flavor this Chicken, Sausage and Shrimp Paella won you over. A lighter and dairy-free take on buffalo chicken won you over when it was served as Buffalo Chicken Celery Sticks. Super easy and adaptable for many of the healthier eating plans out there, you chose Fajita Chicken Bowls. 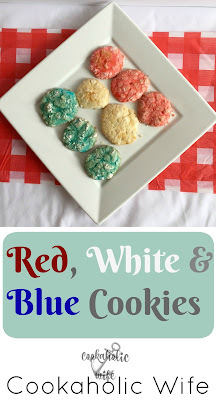 It’s never too early to be patriotic, as you choose these Red, White and Blue cookies. Bundt pans aren’t just for sweet cakes as you picked the Cheese Steak Bundt. A Strawberry Crunch Bundt Cake flavored like that iconic ice cream bar won you over. I guess you all knew before me that local honey is amazing, because you chose these Honey Cupcakes. 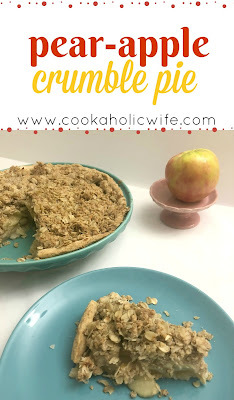 I won’t lie, it makes me super happy that you chose my state’s cake, the Smith Island Cake, as the most popular. Full of all things fall, this Pear Apple Crumble Cake was your top pick. 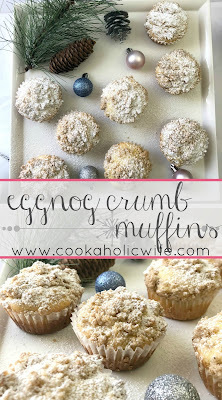 I completely agree with you that these Eggnog Crumb Muffins were a great choice.